After much discussion and user feedback via Instagram, the votes trended towards THIS design shown up top. So I drew it. 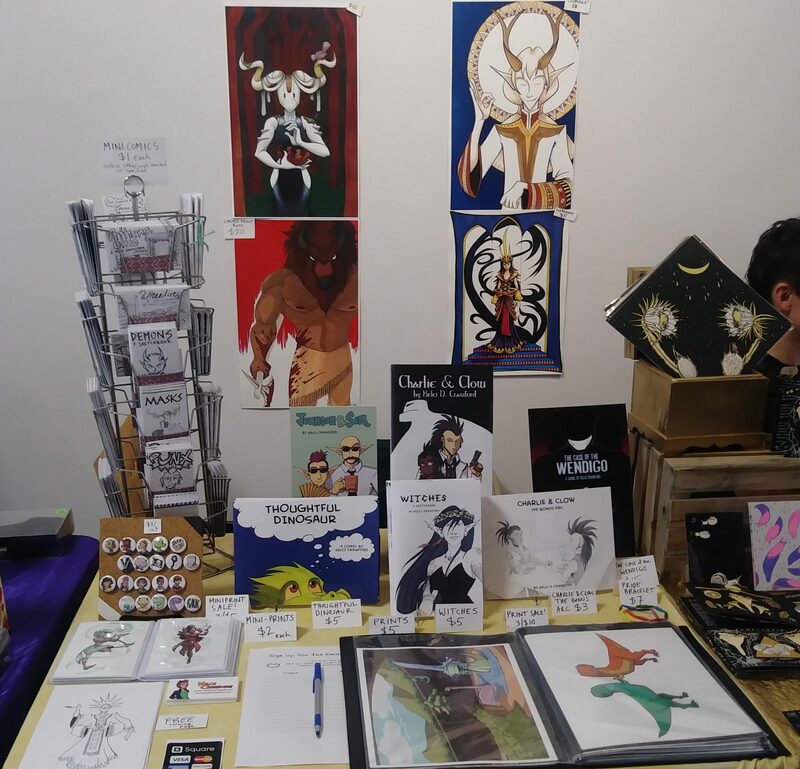 RathaCon is host to a LOT of nerdy events, from tabletop gaming rooms to belly dancers and Quidditch. 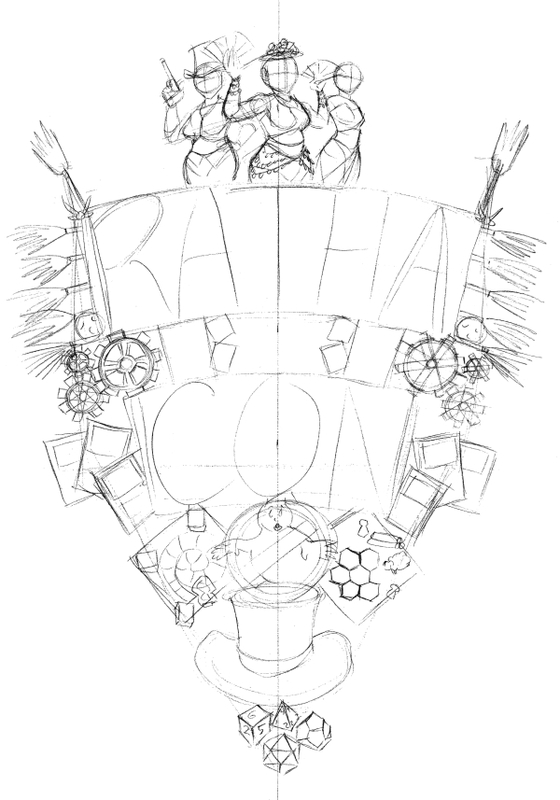 I wanted this design to incorporate the many scenes that RathaCon has played host to. I even squeezed in some gears for the steampunk elements, because there’s a steampunk contingent that appears every year. Magic: The Gathering cards and comic books will fill up some of the spaces around the edges. Plus the GhostBusters logo is to homage the local GhostBusting team. There’s still some details to fit in, but so far it’s off to a great start. Don’t ya’ think?